Bags, envelopes, pouches, sachets, wraps, etc., made of easily yielding materials such as film, foil, or paper which, when filled and sealed, acquires pliable shape. Our range of machinery allows for the efficient and cost-effective production of a wide range of packaging including sugar & food sachets, protective wrap and film and meat casings. Focus Label Machinery provide a range of central impression flexographic machines which are ideal for high-quality printing on demanding substrates such as flexible packaging. Centraflex equipment has a compact layout with a choice of widths and either IR or UV drying systems. The Proflex modular range of printing equipment offers a range of options for a variety of production requirements and is available with Servo drive or line shaft technology. 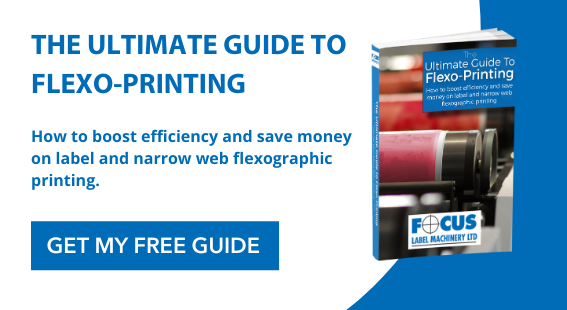 Also available with IR or UV drying systems and roll-to-roll and roll-to-sheet converting capabilities, up to 10 colours high quality, narrow web printing is possible at a competitive price.